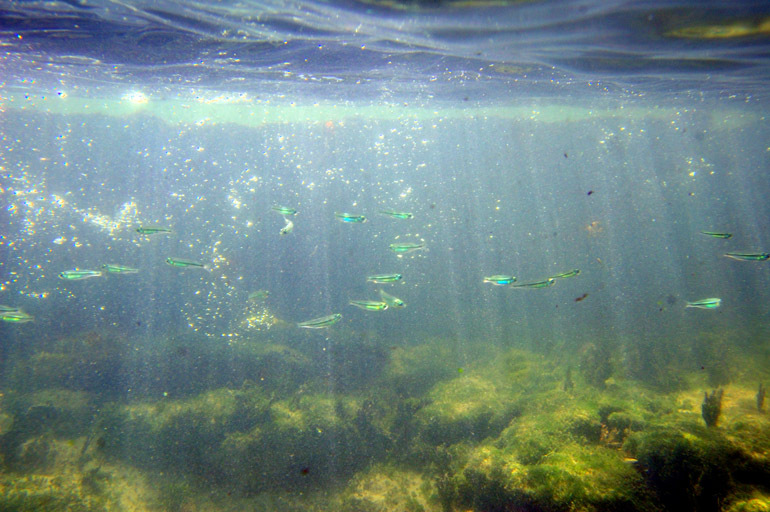 This was some of the best lighting in my swimming adventure off Smathers Beach in Key West. The sun filtered down the side of a pier, creating this ray effect and brilliantly lighting some of the many minnows schooling underneath. The Sunday afternoon during my Florida Keys vacation, I think, marked the first time in my photographic adventures when someone was fascinated with shooting me. The tables had turned. 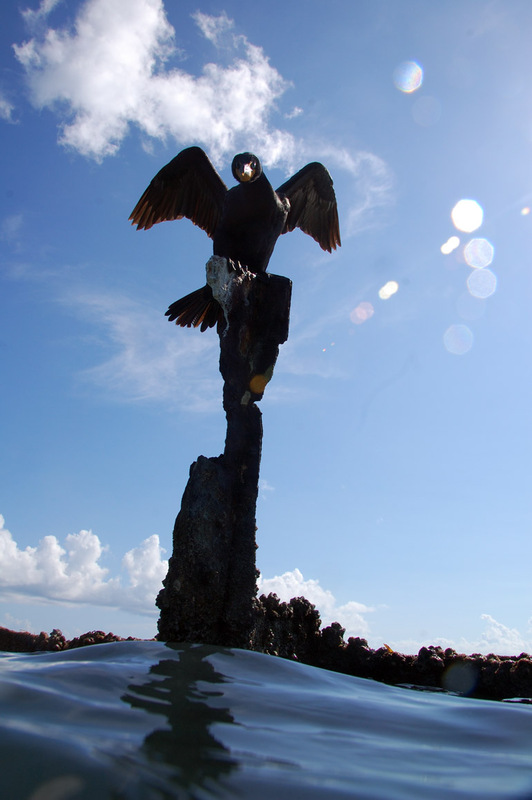 I loaded my underwater case with my D40, the cheaper of my two cameras, and headed into the water off Smathers Beach, on the Atlantic Ocean side of Key West. As I waded into the water and periodically dove under to snap some shots, people became fascinated with my camera that could resist water. It's as though they had never seen such a thing. One person walking on a pier that juts out from the beach was so moved that he took several shots of me in action. A fellow swimmer remarked that she had to get an underwater case of her own. For once, I was the awkward object of other people's photographic interests. Old, cutoff posts sticking up from the water were perfect for birds. This anhinga was slightly perturbed when I poked my head out of the water just below its perch. At this point, the water was deep enough so I couldn't touch the bottom. Swimming and holding a camera up at a bird isn't easy. 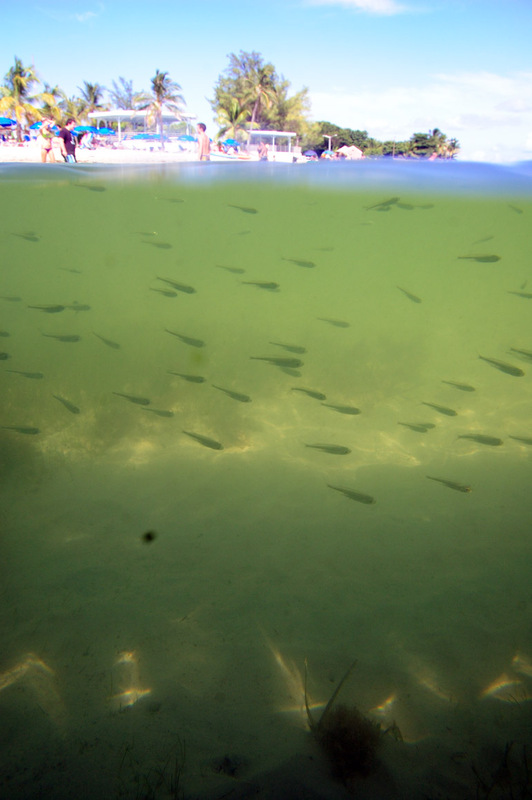 I tried a few of these half-and-half shots, this one showing some of the underwater and above-water life at Smathers Beach. This shot shows the magnificent green color of the water. 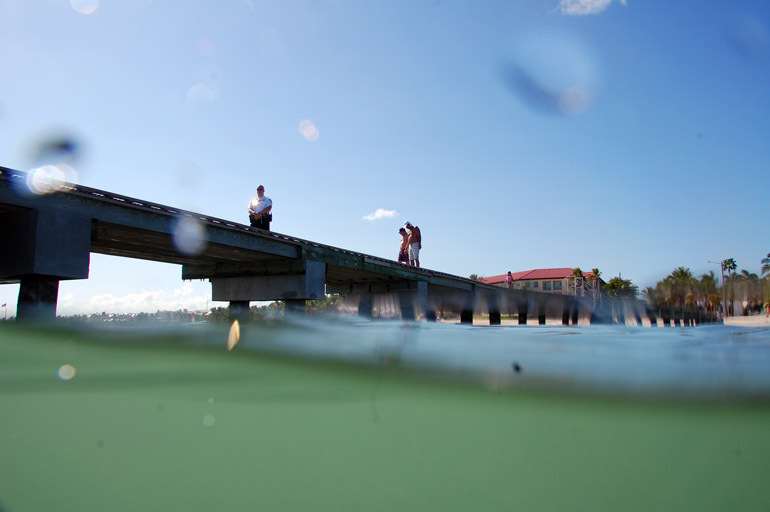 Such conditions aren't available on the coast of Central Florida, where the ocean is rough, and churned-up sand often obstructs the view near shore. One of the drawbacks of the case I use for underwater photography is that I can't really check the image quality while shooting. 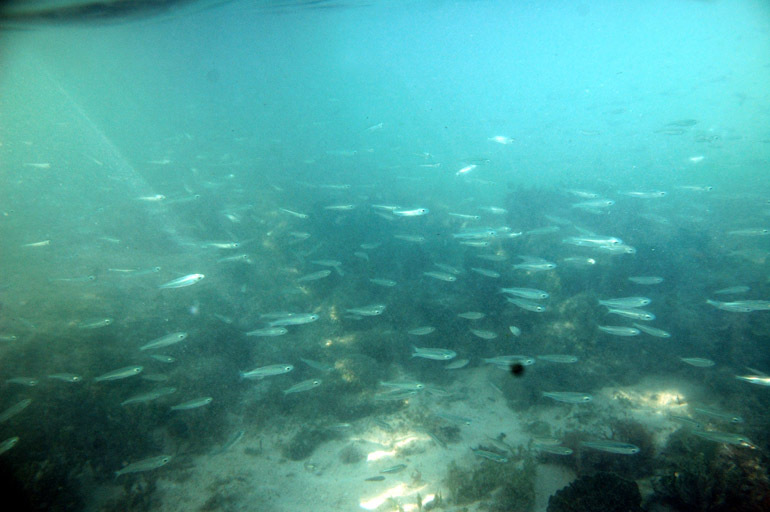 The LCD screen on the camera often is obstructed, and lighting conditions are so harsh in the water that it would be difficult to see anyway. I didn't notice until after I removed the camera from the housing that some annoying black spots had appeared on most of the images, caused by dust on the camera sensor. My D40 is getting up there in age and needs a good cleaning. 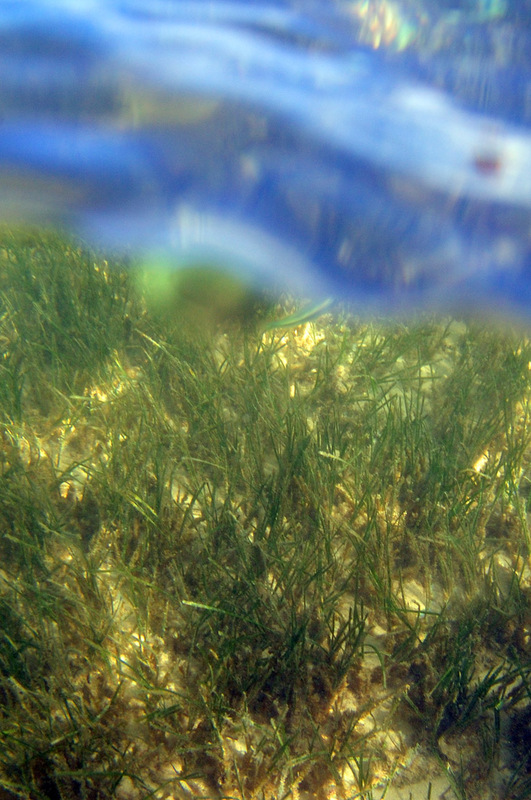 No fish in this photo, just lots of grass. I liked how the sunlight hit the sand and vegetation on the bottom in the shallow parts. I didn't snap any shots of the guy who was snapping shots of me, but just for illustrative purposes, this was the pier he was standing on. A police officer patrolling the beach by foot walked out on it, and the sunlight gleaming off his badge caught my eye.